Stream anime episodes online for free, Watch One piece Episode 69 English version online and free episodes. 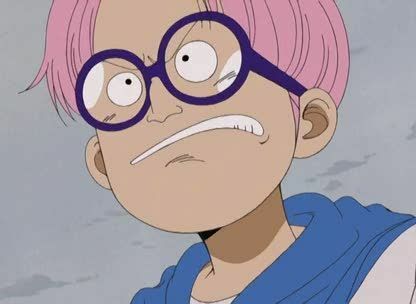 Anime Episode guide One piece Episode 69 English dubbed Coby and Helmeppo’s Resolve! Vice-Admiral Garp’s Parental Affection Coby and Helmeppo settle in at headquarters, where Garp makes sure that they are not slacking off. After working hard during the day, they fall tired to their beds, but Helmeppo decides that he wants to do more, to regain his former lifestyle. Coby, whose determination had wavered, joins him. Starting then, they spend their nights steeling their bodies and training the martial arts. Eventually, Garp overhears that they are friends with “Straw Hat” Luffy, who was recently added to the wanted list, and puts their determination to the test by letting them fight him. Though he is disappointed by their weakness, he decides to keep their friendship with Luffy a secret, allowing them to stay.